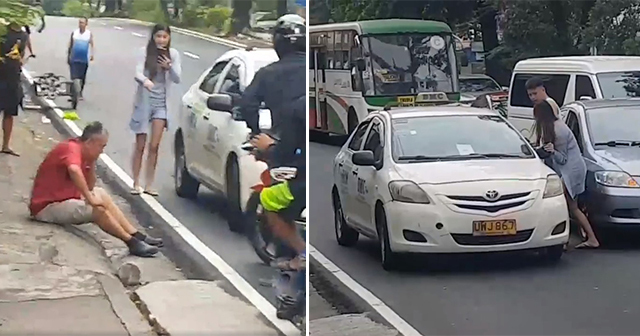 A video gets viral after gaining a lot of reaction and shares due to a traffic altercation in Commonwealth, Quezon City. 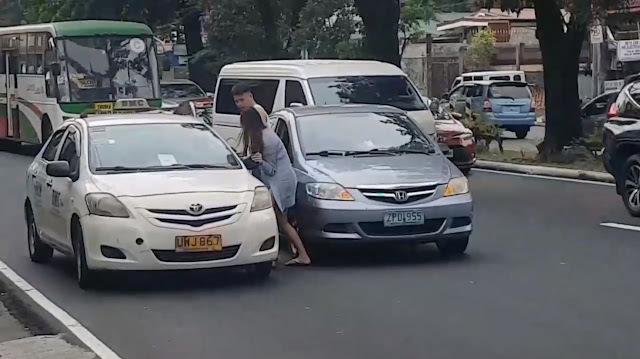 A woman allegedly hit a taxi driver and destroys the car's side mirror because of the incident. The woman kept arguing about the old man by saying hateful things while the old man was inside the taxi. She was accompanied by a man who apparently tries to calm her down and wants to get her inside of their car to avoid any further physical abuse of the old man. While holding his cheek, the old man gets out of his car feeling unwell and troubled. 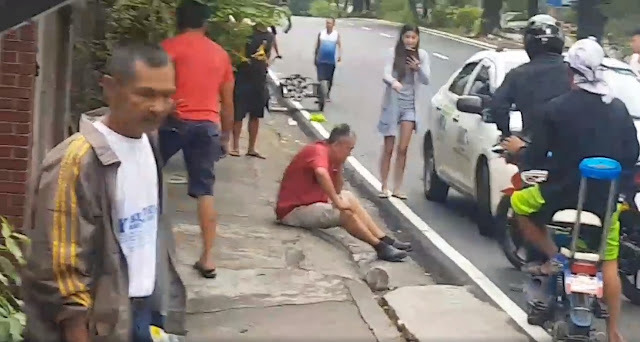 He sat down beside the road to avoid any commotion yet the woman kept on cursing and nagging the old man about the incident. After a while, a guy riding his motorcycle got down and tried to ask what seems to be their problem. He wants to settle their argument and hopes to clarify the situation. But to no avail, the woman kept on blaming the old man and still gets furious about it. A lot of people on various social media shared the video and gained almost millions of viewers. What are your thoughts about this incident? Share it with this article!